Flooring and furniture go together like peas and carrots to quote Forest Gump. In fact flooring rarely is alone in a room it is surround by furnishings of all kinds. Lately furniture has been getting absolutley hammered by the recession. Industry insiders often lament that the category is down 50%, some even say 70%, from it’s peak time. Of course the peak was driven by an unsustainable bubble, but it certainly has been a struggle for the furniture business. Today more and more furniture is becoming something that is both affordable and fashionable. Instead of shopping at IKEA for a coffee table that will require 6 hours of assembly, although costs the same as a pack of gum, you can buy solid wood tables with zero assembly or light assembly that takes minutes for a very reasonable price. Additionally around the world people are looking to the United States more and more often to see what fashions are driving buying in that key country. New York and Los Angeles often lead the fashionistas in the USA so it’s natural that inspiration emanates from there. 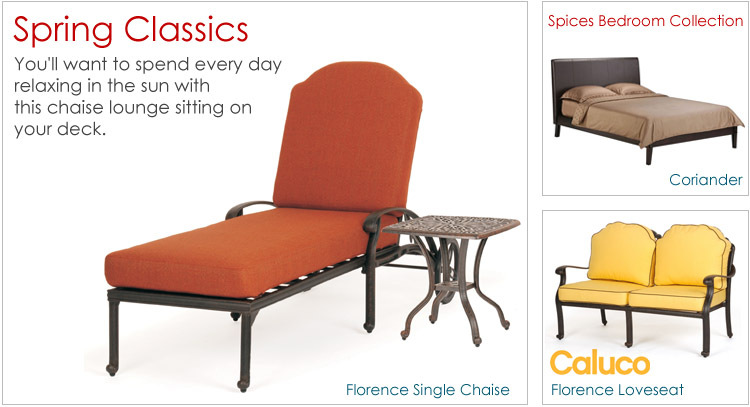 A very cool furniture website driving by these trends is called NYLAFurniture.com. The sleek selection and very attractive prices topped by the FREE SHIPPING on orders over a certain $$ amount make it a very interesting choice for furniture. The Outdoor Furniture selection was very nice and worth a visit in the spring time! Outdoor furniture is extra exciting during the Spring!